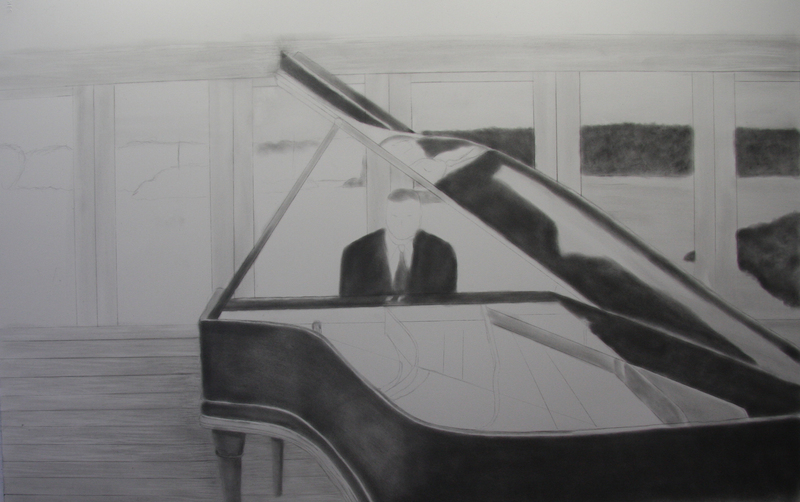 Although it may not look much different than the last update this represents several hours more work building up the dark values and texture on the wood. 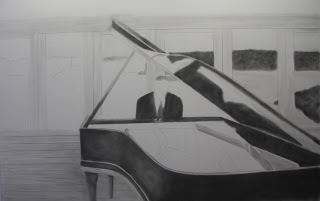 The dark values on the piano are nearly complete and then I will start to add the details on the outside of the piano and the rest of the drawing. The wood grain is being built up on the back wall and once the texture is created I will start to draw in the detail of the wood pieces (no I am not a builder obviously) on the wall and the door.